Pawperty: Sharks kill 12 people in 2011, a global 20-year high. Sharks kill 12 people in 2011, a global 20-year high. Humans kill a lot more sharks each year than sharks kill humans. MIAMI - Sharks killed a dozen people worldwide last year, a two-decade high as tourists ventured into waters in remote areas far from medical care, Florida researchers said in a report released on Tuesday. None of the deadly attacks occurred in the United States, which saw a five-year downturn in the number of reported unprovoked shark attacks, said ichthyologist George Burgess, director of the International Shark Attack File housed at the Florida Museum of Natural History at the University of Florida. Seventy-five attacks occurred worldwide, close to the decade average, but the number of fatalities doubled compared with 2010, he said. 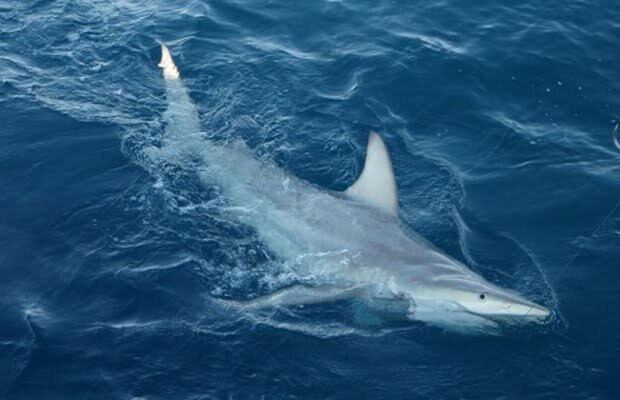 Despite the increased number of deaths last year, humans still pose a much greater risk to sharks than sharks do to humans, Burgess said. Australia had three shark attack fatalities and there were two each in Reunion, the Seychelles and South Africa, and one each in Costa Rica, Kenya and New Caledonia. The average global fatality rate for the last decade was just under 7 percent, and it rose to 16 percent last year. Excluding the United States, which had 29 shark attacks but no deaths, the international fatality rate averaged 25 percent in 2011, Burgess said. Other countries with multiple non-fatal attacks included Australia with 11, South Africa with five and Reunion with four. Indonesia, Mexico and Russia had three each, and the Seychelles and Brazil had two each. While the higher number of fatalities worldwide came as a surprise, the drop in the number of U.S. attacks follows a 10-year decline, Burgess said. “There has to be a cause for that. People might argue there’s less sharks, but since the late 1990s, populations have begun a slow recovery. By contrast, the number of attacks in the United States and Florida suggests there’s been a reduced use of these waters,” he said. With its long coastline and year-round aquatic recreation climate, Florida historically leads the United States in shark attacks, and last year was no exception. The state had 11 of the 29 U.S. attacks. Six of them occurred in Volusia County on the state’s central Atlantic coast, a popular surfing area, but that was the lowest number there since 2004, when there were three. The next step to reducing the number of fatalities is creating emergency plans for those alternative areas, said Burgess, who has been invited to work on developing a response plan in Reunion Island, in the Indian Ocean. “Ironically, in this very foreign environment that has animals and plants that can do us harm, we often don’t seem to exhibit any concern at all, we just jump in,” Burgess said. Surfers were the most affected group, accounting for about 60 percent of unprovoked attacks, largely due to the nature of the activity. Swimmers experienced 35 percent of attacks, followed by divers with about 5 percent. Humans are not part of the sharks’ preferred diet, but those splashing around on the water’s surface can be mistaken for normal shark prey such as fish, turtles or seals. Burgess also pointed out that humans in wetsuits can be mistaken for seals by the sharks.